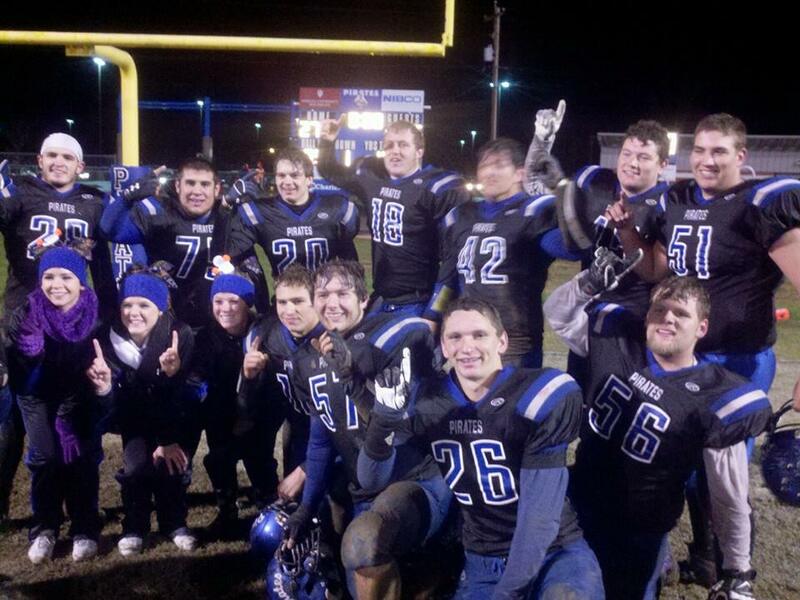 Class 3A Football Sectional #31 Semi-Final: Charlestown trailed Brownstown (10-1) 16-6 at halftime and outscored the Braves 21-0 in the second half to advance to their fourth Sectional Championship game in the last five years. 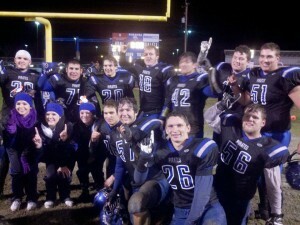 Charlestown (9-2) will travel to North Harrison (4-6) for the title game next Friday. Charlestown defeated the Cougars in the Bone Yard on September 12th, 47-20. The Braves outgained the Pirates 312 to 278 on the snowy Halloween Friday night; however committed costly turnovers and seemed to run out of steam during the fourth. Brownstown fumbled the opening kick-off to Charlestown, setting up the first score of the game when Tristan Chester scored on a two yard keeper to cap their opening four play drive. The Pirate offense begame penalty prone while it watched the Braves score the next 16 points. The Pirates came out of the halftime break with a different swag, scoring on their second half opening possession, highlighted by a Gaddie 61 yards touchdown run. The Pirate defense held the Braves’ 3A #1 rated offense scoreless in the second half, especially in the fourth. “This was a team effort…We have great kids…who believe in themselves, and great fans”, said Coach Darin Ward after the 27-16 win. Antonyo Gaddie lead the Pirates on the ground, finishing the game with 136 yards on 24 carries including two touchdowns. Tristan Chester finished the night 6 of 17 for 124 yards, including an 85 yard pass to Eli Daniel that set up the late fourth quarter go ahead score. Daniel’s run broke free of at least four tackles, and was commented as being one of the most determined run ever witnessed by many fans. Jarrett Farmer sealed the Pirate victory with 1:31 remaining, with a 23 yard pick six; as Brownstown attempted to march down the field for a game winning drive, similar to the regular season matchup. Eli Daniel the Offensive Player of the Game and Jarrett Farmer the Defensive Player of the Game. The CPPSB archived version of the game is available at www.PiratePride.blue/Broadcasting.